University of Nottingham > Blogs > The Digital Network > Uncategorized > Matlab on the go! In addition to the standard on and off site versions of Matlab, staff and students can use the software on mobile devices or online via a web browser. Visit the new IS Software Library on workspace for full details of how to access the mobile app and Matlab online versions. In addition, new training via Matlab Onramp is also available to staff and students. 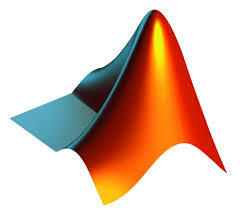 Matlab is a comprehensive package for performing numerical computations in a wide range of areas such as systems of equations, eigenvalue problems, interpolation, curve fitting, and ordinary and partial differential equations. It also has extensive image analysis and graphical display capabilities. In addition to the main Matlab package, there is a range of toolboxes that provides specialised capabilities for problems in areas such as optimisation, statistics, neural networks and image processing. Most of these applications and toolboxes are available as part of Matlab Online which provides access from anywhere on Mathworks cloud hosted system.